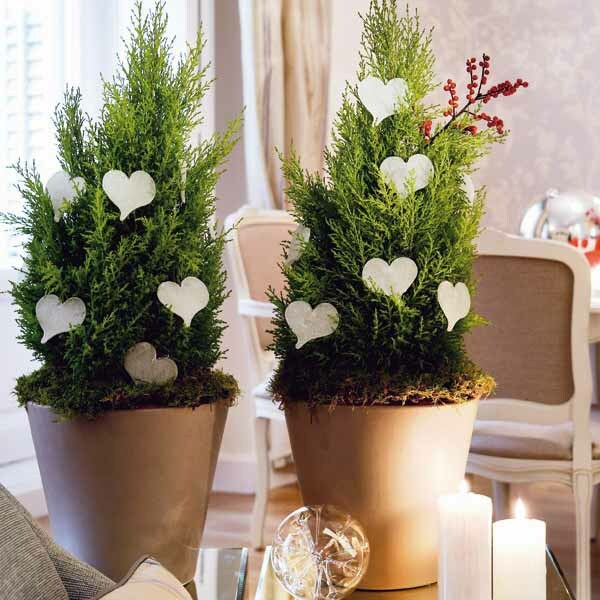 Backyard plants, tree branches and evergreens are great for creating inexpensive Green holiday decor. Handmade Christmas decorations and simple winter holiday table centerpieces look gorgeous and fresh, bringing a splash of green color into holiday home decor and saving your money. Handmade Christmas decorations, created with live plants, natural or eco friendly materials, evergreen branches with berries from your yard, pine cones, nuts, fruits and vegetables, enliven winter holiday decor with personalized touches and create unique table centerpieces. 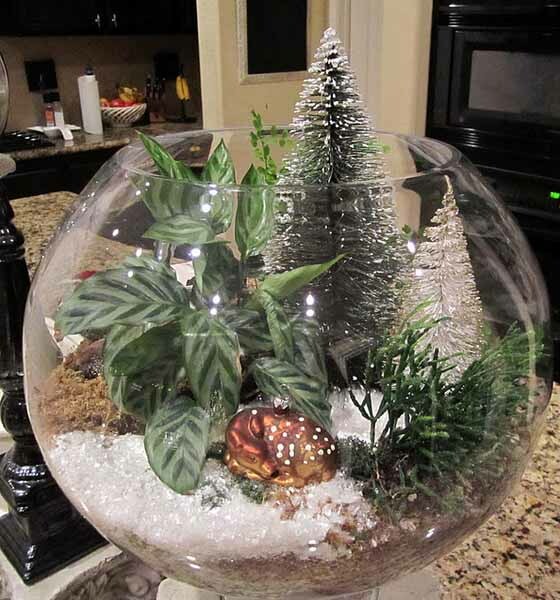 Handmade Christmas decorations, table centerpieces and Christmas tree decorations with tree branches and berries help enjoy easy stress free home decorating and beautiful Green holiday decor which looks elegant and attractive. Creating holiday decor with handmade Christmas decorations is a way to explore Green living ideas that inspire inexpensive winter holiday decor. Simple holiday table decorations and centerpieces, handmade Christmas tree decorations and garlands, made of wood, glass and paper, look natural, warm and cozy. Rustic Christmas tree decorations and Green holiday table centerpieces made with burlap and evergreen boughs are child-friendly, relaxing and welcoming. 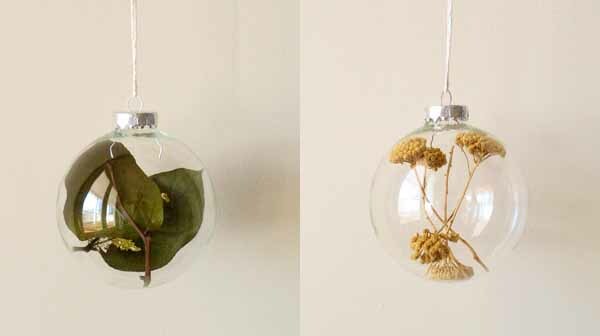 Transparent glass Christmas tree decorations with green leaves and small branches inside are interesting, unusual and eco friendly ideas for holiday decorating in style. Tiny tree branches and bright berries, fresh and dried leaves look gorgeous. 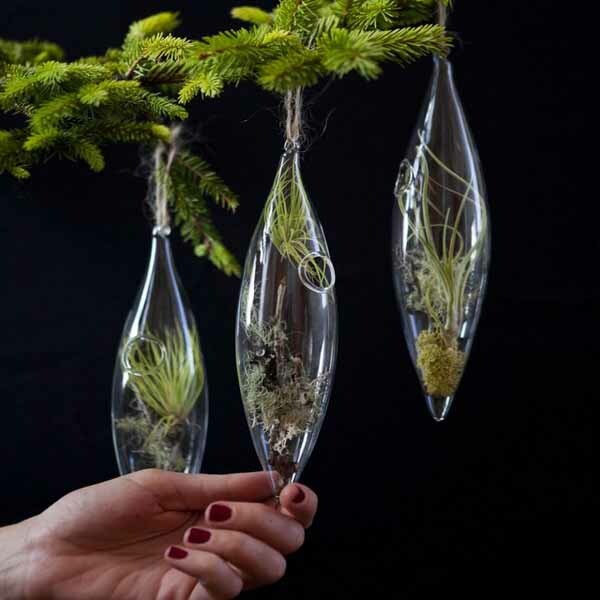 Mini glass plant terrariums for Christmas tree decorating bring a piece of nature into modern holiday decor and add extravagant flavor to winter holidays. Using natural materials for eco friendly Christmas and winter holiday decor, simple handmade table decorations and table centerpieces are another way to go Green and reduce waste in your home. Making winter holiday decorations for Christmas tree, doors and windows create a festive atmosphere, while saving money. 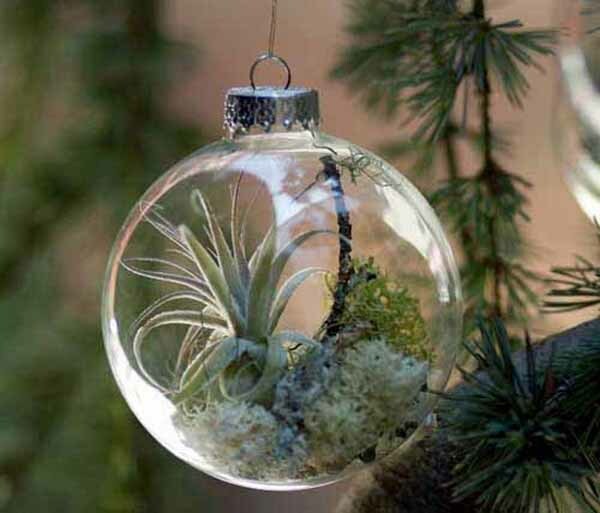 Handmade Christmas decoration, created with live plants, natural or eco friendly materials, evergreen branches with berries from your yard, pine cones, nuts, fruits and vegetables, is safe for the environment and puts the focus on the joy of making things by hand, creative ideas and love. Instead of stressful experience of exhausting shopping for winter holiday decorations you can relaz and create with pleasure. Modern commercial Christmas tree decorations and table centerpieces have short lives, create pollution and waste. Green holiday decorating ideas simplify your life and create elegant and charming eco friendly Christmas decorations and table centerpiece.